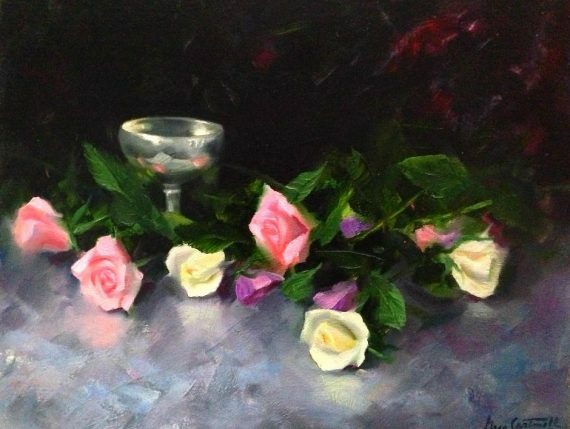 This is a still life I did years ago. It’s of some striking silver and some colorful roses. I did this piece in an old world style, with the dark background. It’s a 16 x 20 oil on panel, signed and the price is $2000.